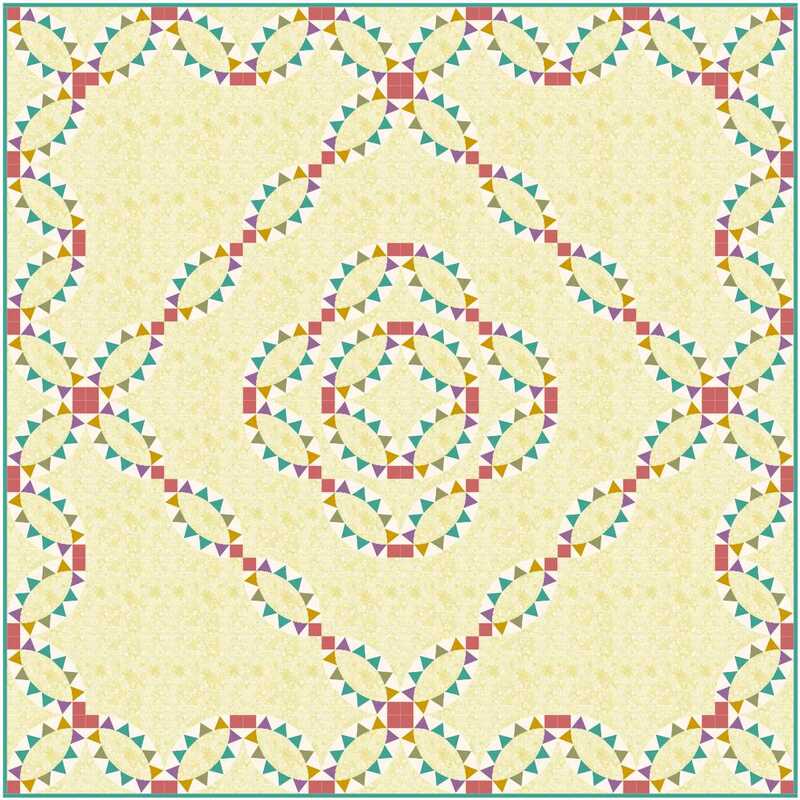 I opened up EQ just to see what the measurements of the borders should be for the quilt I wanted to work on this afternoon. 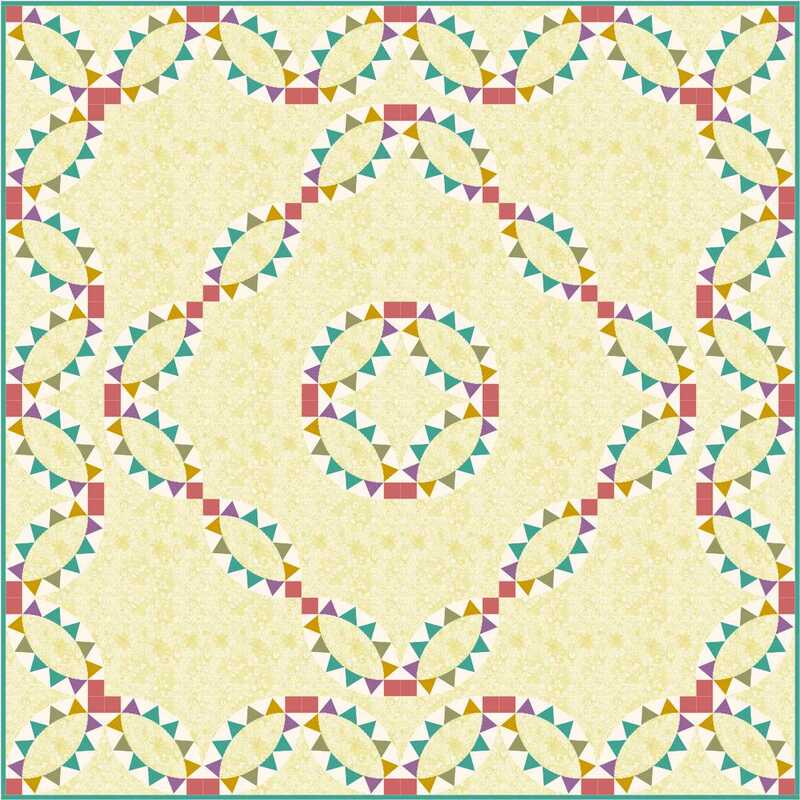 I did that, but then was looking at a design I had originally drawn for Hoffman Fabrics. They didn’t use that particular design but I still really like how the blocks play together. 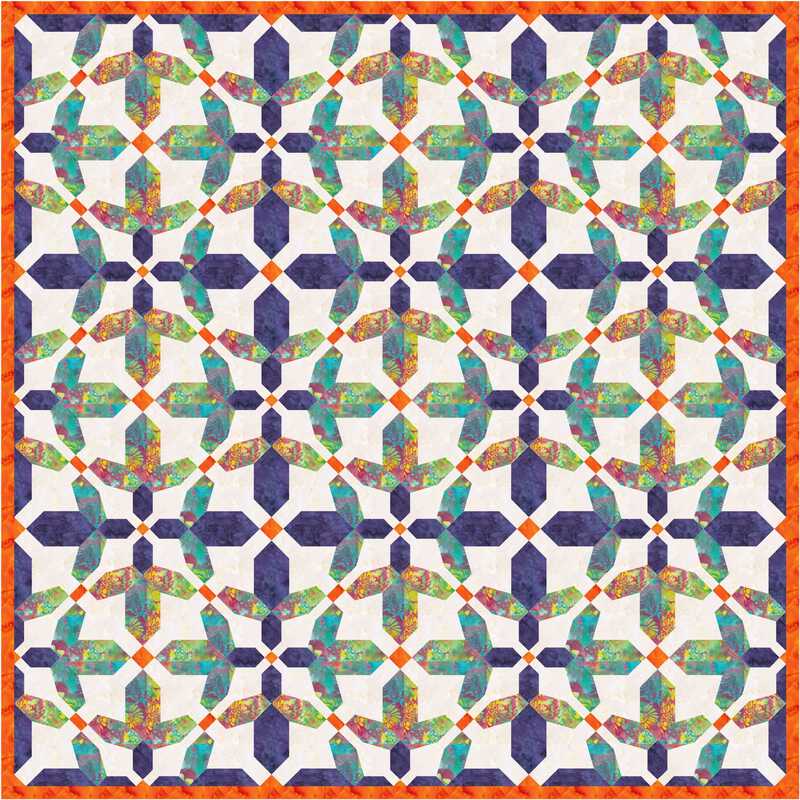 It was originally drawn for some possible Christmas fabrics – it has great spaces to show off some larger prints – but I wanted to see how it would look in other fabrics. I especially like the way the background (white) space comes together where the two blocks join and makes it look like a white square on point around the block with the large print in the center. 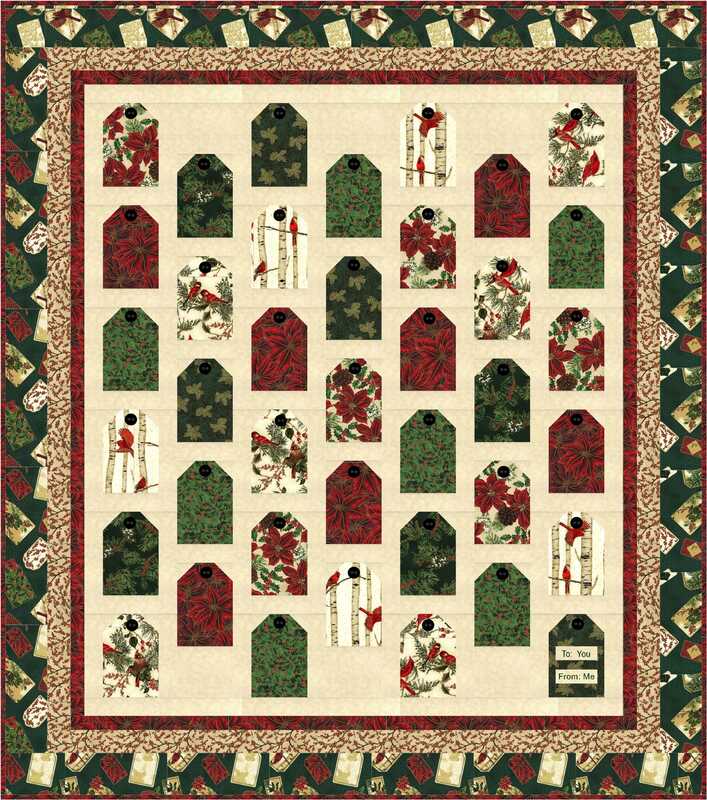 I may have to go stash diving in the Christmas fabrics tho because I think I have some great larger prints in there that would work well for this. Then I totally got sidetracked for a while – the hazard of opening up EQ. 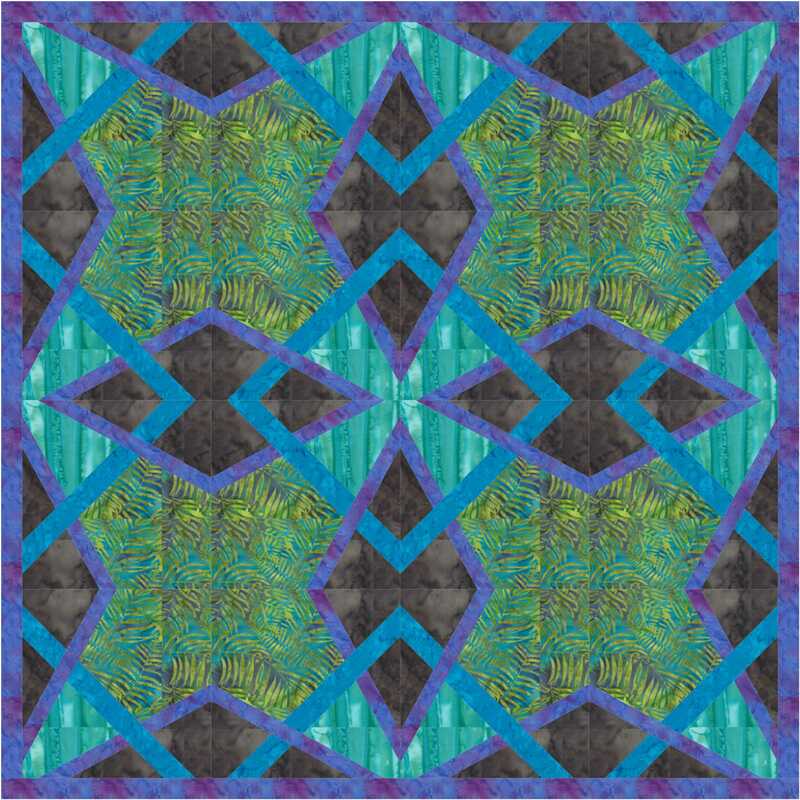 I had previously been working on a quilt using the pickle dish block. 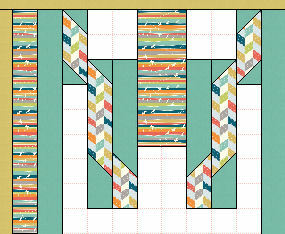 I so love the look of that block but don’t know that I’m wanting to make a lot of those blocks. So I play with them in EQ and enjoy the look but have yet to make one. 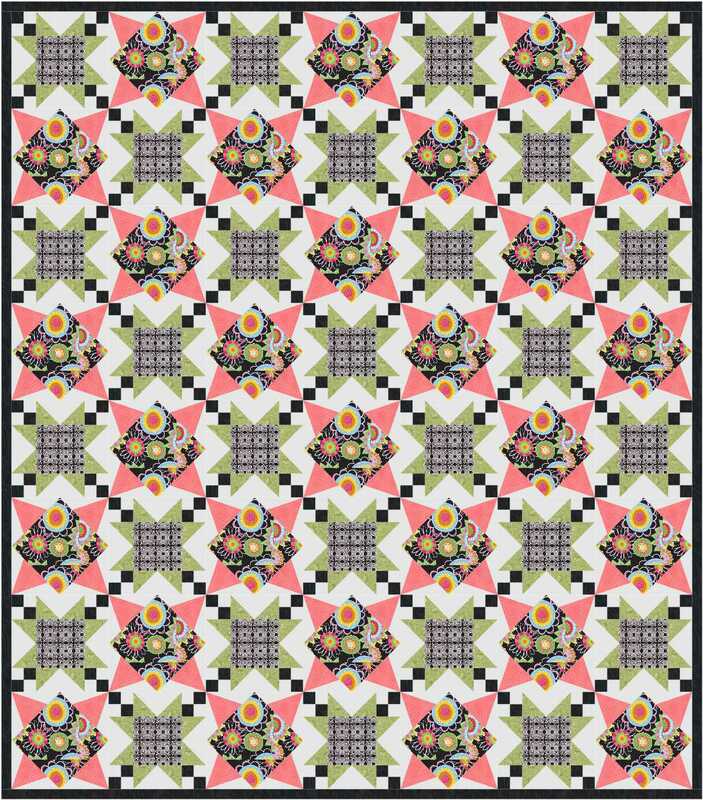 However, if I did make one I don’t think I’d want the traditional layout look (double wedding ring-ish) of those blocks so I was playing with a few different settings that created additional open space for quilting (and yes, more open space means having to piece less blocks so it’s a win-win situation right?) 🙂 Here’s a series of the various layouts I was working on. 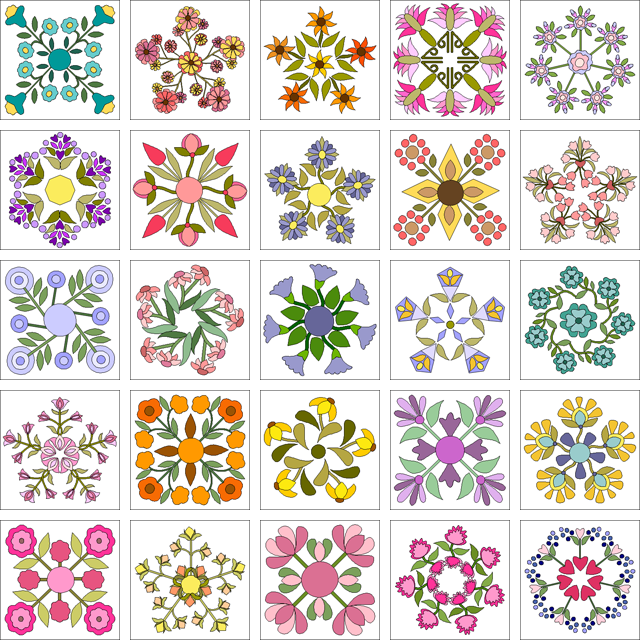 But I have to get back to those borders I originally looked up and get them on the quilt. I was going to get so much stuff done today since I took the day off and while I did get a load or two of laundry done, and picked up a few things around the apartment (very few), I spent the majority of the day playing in EQ. 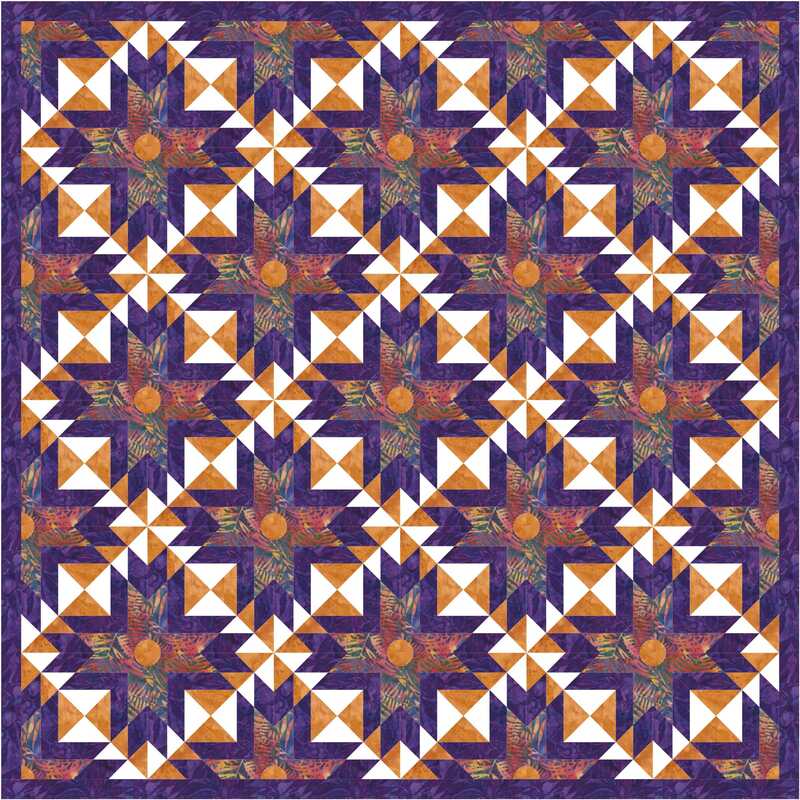 Okay so this morning I was “working” in EQ since I have a design for Hoffman Fabrics I need to write the pattern up for, had to write up the PatchKats installment, and then decided to see what I could come up with for my Camp Loopy 3 quilting project. For the challenge we have to use one Short Stack and four different 1/2 yard cuts of fabric. The center top row Short Stack is the one I picked and the four larger images are my 1/2 yard cuts (although I wasn’t paying attention and actually got 1 yard of the blue – but that’s good). The other Short Stack I got to maybe use with these fabrics – they are all really little two tone checks. So I came up with a design but then I had to work backwards sort of to see if I could make it work with the fabrics I have. 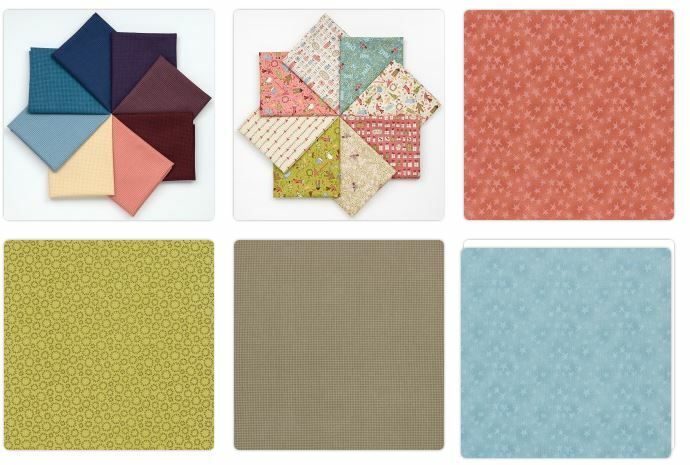 The first two Camp projects I had to order additional fabrics for and I’m not doing that again – really I’m not! Actually I think I just might have the numbers working correctly but it took much recoloring and moving colors around several times and then finally I realized if I had another background fabric – a lighter one…. no I did not order one … I simply stole one from a stack of Loopy Ewe fabrics I had waiting to use for a different project. It wasn’t quite the right shade for that other project ( wanted something a bit whiter) but it will work great for this one. So after a bit of reworking and more recoloring (yes, the day quickly got away from me) this is what I ended up with. The blocks are large so if I have to I can shrink them in size to get the fabrics to work but I want to see if I can leave them this size instead. So time to get out my calculator and do some figuring. 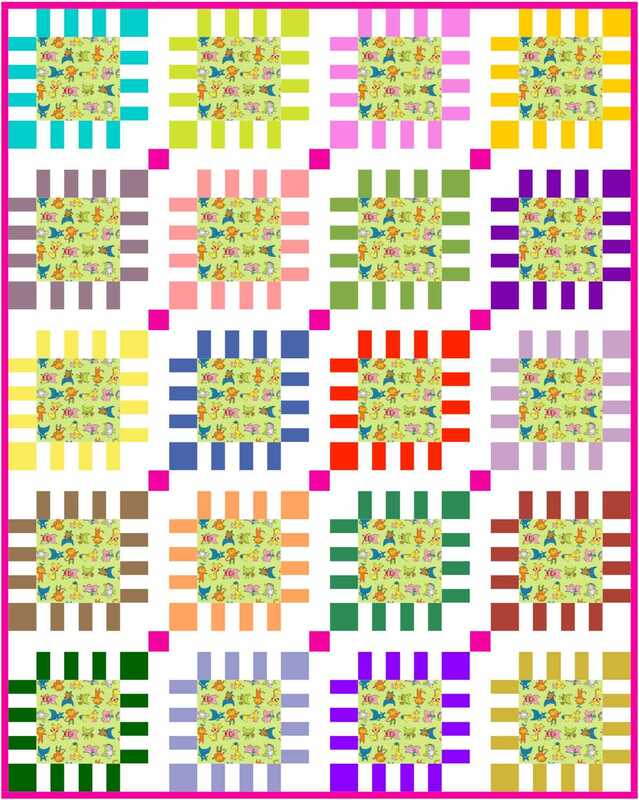 Most of the fabrics in the design are the actual fabrics I have but they are not showing up to scale in the design and some of them are actually more different in hue than then appear in this design – but you get the general idea. 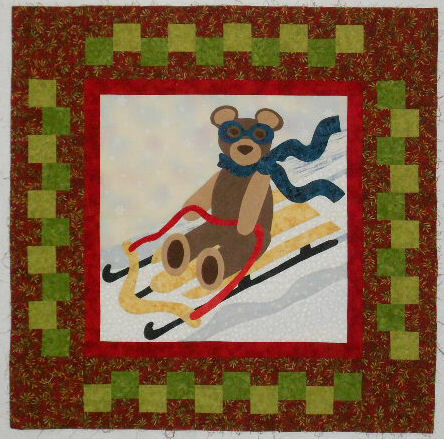 I am cruising right along on my June Camp Loopy sewing project. Only four days in and all I have left to stitch for the front of it is the border blocks, which are about half done. Those pieces that twisted and turned reminded me of squiggly horns some types of antelopes have. 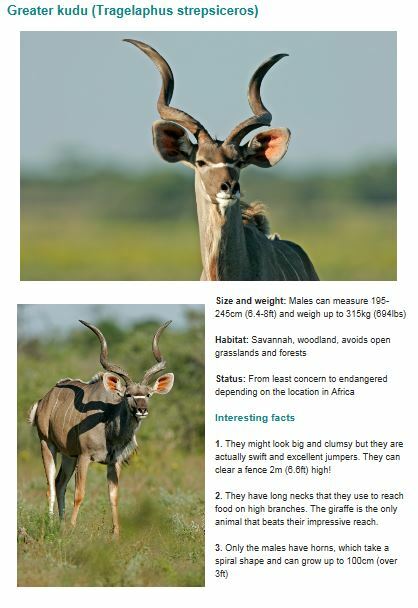 Which led me to this photo of an African Antelope. 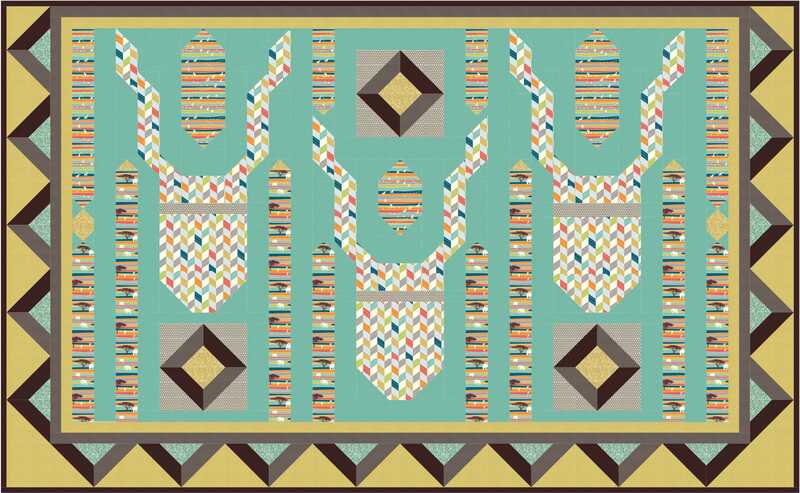 One of my first plans (you know I always change my mind) was to do a wall hanging with African style masks on it so I sort of decided to combine the two and make African Antelope masks. There are no eyes – I didn’t want them to look exactly like masks because I think that would have looked distracting. But I did add in that light strip that is right below their eyes. No one but me may ever recognize that those are “squiggly horned antelopes” but I do so that’s all that really matters. Here’s where I’m at so far. I made a few changes from the last EQ drawing of it that I showed. The lower image is the EQ drawing of how it will look once the border blocks are added. 30% off all Boutique Blocks ends at midnight tonight. 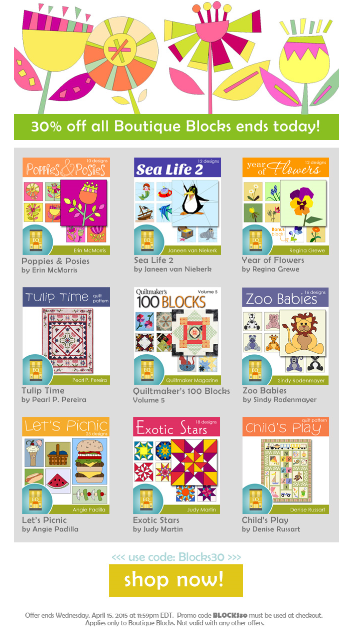 Tons to choose from – including Quiltmaker’s 100 Blocks blocks from past issues that you can pull into EQ. Don’t miss out! I think I’ve decided what to do with the Dr. Seuss precut fabrics I have. The fabrics are cut 6.5″ square so they will be the center of these blocks. I love breakfast on the weekends. During the week, it’s my latte and maybe grab a scone at the coffee shop, but at home on the weekends I usually eat brunch rather than breakfast and lunch and I love muffins, biscuits – all those yummy things. Give me a good omelet and a warm muffin and all is right in my world. Today, however, I woke up thinking about waffles and cornmeal muffins. I love waffles but don’t make them often. I knew I didn’t have enough cornmeal left for muffins but a half batch of waffles – that might be possible. So waffles are mixed and just waiting for the waffle maker to heat up and syrup is simmering on the stove, nearly thickened to the right consistency. So the really important question of this morning…. are you a Belgium waffle person or a skinny waffle person. I am a skinny waffle person and when my old waffle maker died I had to search for a long to find a waffle maker that still make skinny waffles. I like them crispy on the outside and leftovers get frozen to pop into the toaster. Here’s the recipe I’m trying today Cornmeal waffles. Now to see if the waffle maker is ready. It was ready – they were good. I’ve now had my waffle fix for a while and there’s a few to toss in the freezer for some other day. It’s okay but it’s much more interesting when it’s set on point here. 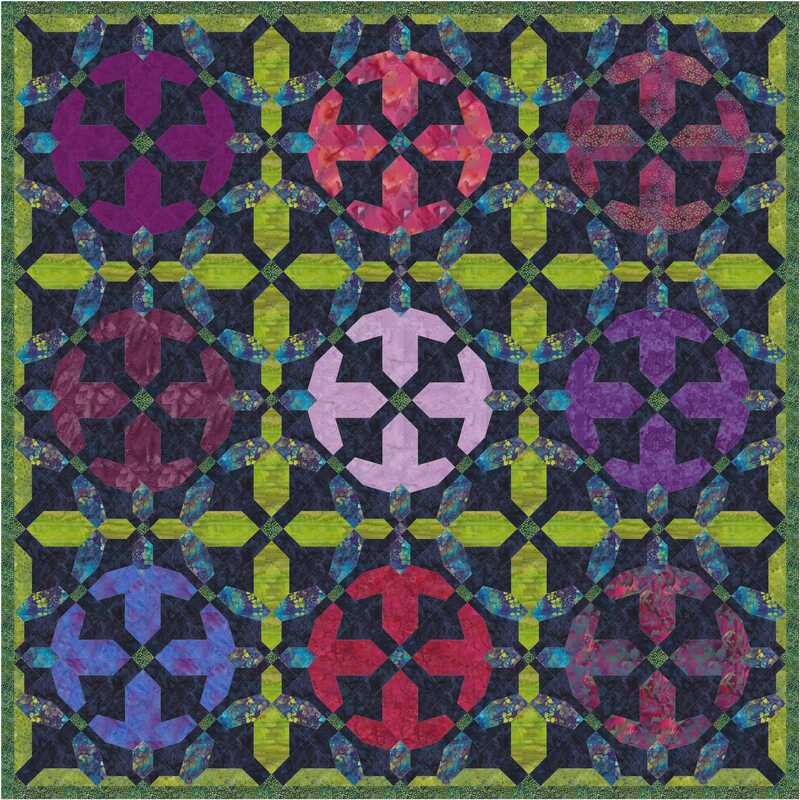 Then there was this design — same setting for both of the images of this quilt. It uses three different sizes of the same block design. The first one is okay. but adding in more colors makes the circular design pop out. 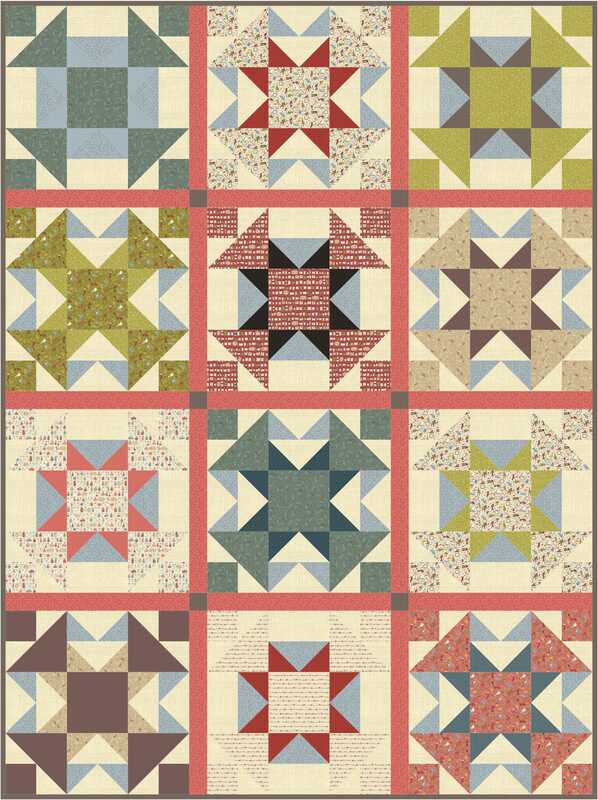 I love those straight pieced designs that give a curved secondary appearance. 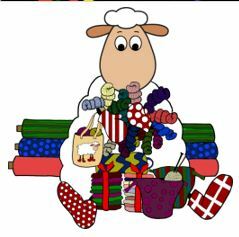 Enough play – need to finish the last of the cleaning in the sewing room. 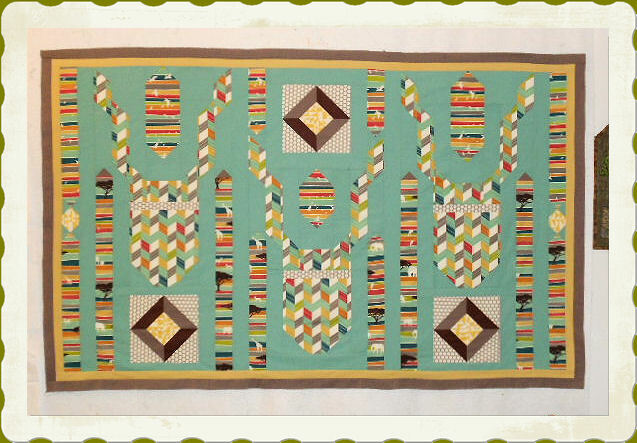 But I hope by next weekend to have my Asian quilt top I’ve been working on finished. I also going to pull this wall hanging out of the closet — I think it got set aside with only the side sashings to get added to it since I’m not sure I’m going to add any other borders to it. 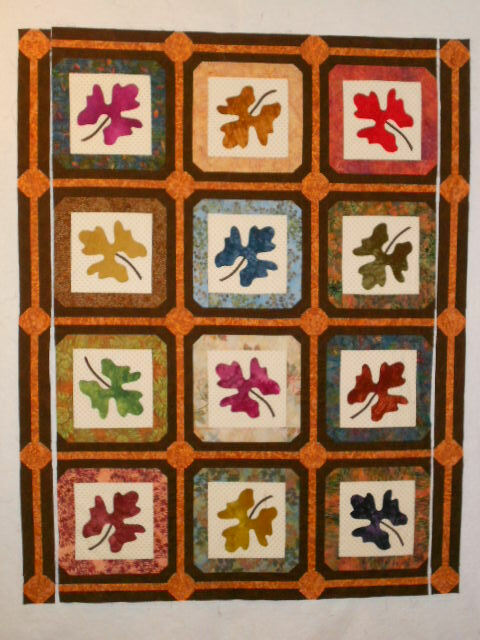 It needs to get finished so I will have a new fall wall hanging to put up. While I had planned to get to work right away sewing sashing on my other project, I opened up EQ and of course now a couple hours have gone by. Every so often I go back through the old EQ designs to see if any of them “speak” to me. Sometimes going back I see something different, or see what needs to be changed. Sometimes turning the blocks on point makes all the difference – sometimes not. When I turned one block on point and plugged in the blocks, I was looking at it thinking “this looks familiar”…. why…. But enough of that fun — more coffee, something to eat, and then I’ve got blocks to sash. 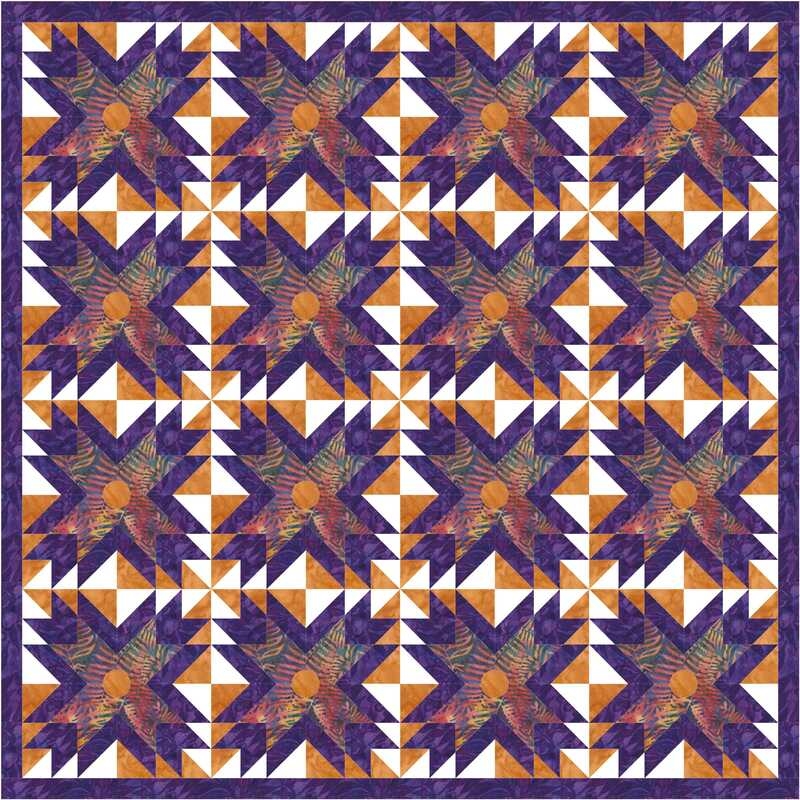 My quilt design images have been sent off for approval finally so I got to writing this up much quicker than I thought I might. 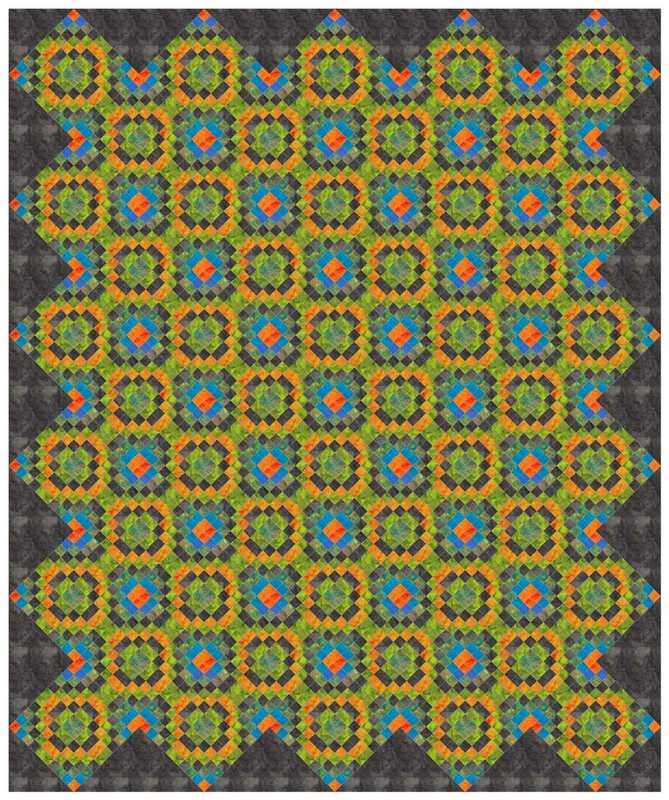 The block for this month is now available. 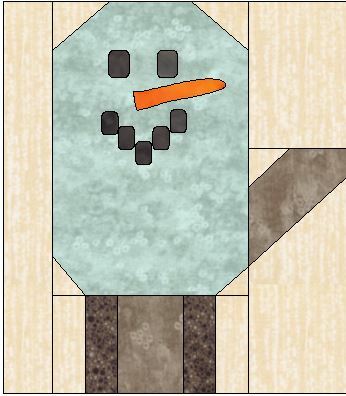 Well, no, this snowman mitten isn’t actually in the quilt but you could easily make him – the face just happened to be saved in the same file when I was looking for some applique to add to the basic mitten — this month’s block gives you opportunities to make them your own – adding more fabrics, trims, buttons and other embellishments or you could add applique or embroidery. 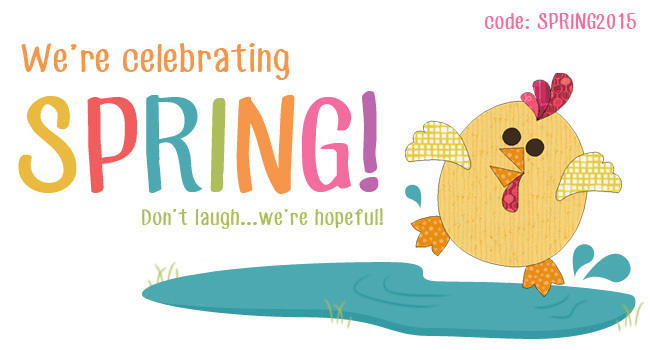 Remember, you will need your sashing fabric next month! EQ7 estimates 1+1/2 yards for the sashing. I have to decide what I want to use for that yet. I’ve been on the computer working since early this morning – dang my day is gone since it’s nearly 6 p.m. Hmmmm.. might just have to call the pizza guy for dinner tonight! !